If you suffer from acne you may feel reassured to know that you are not alone – it is one of the most common skin diseases. Acne affects about 85 percent of the population of adolescence. Facial acne is about prevalent among boys and girls in the 12-17 year age range or earlier. Teens and pre-teens and may cause emotional and self-esteem problems. With today’s advancement technology, there’s no reason to bear with pimples on your face or any other part of your body. Acne can be improved dramatically or resolved completely with available treatments by anyone at any age under the most circumstance. 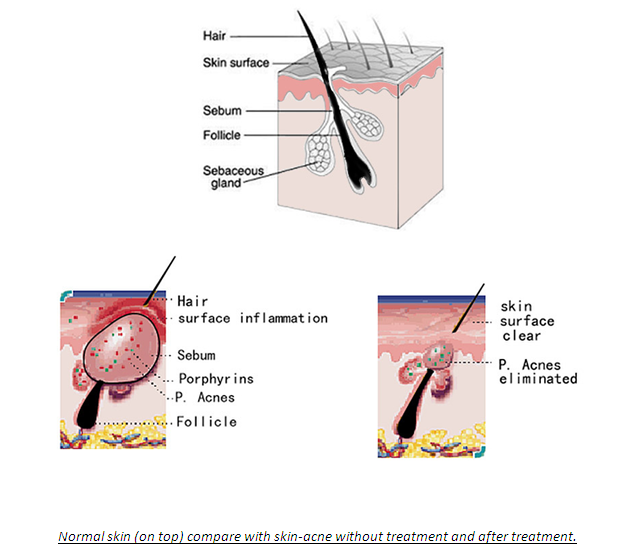 Acne occurs when the sebaceous glands of the skin produce excessive amount of oil, as result of increased androgens activity in both males and females. This process is accompanied by an increase in the flaking of the skin lining the hair follicles. As a result, the skin pores get blocked by the peeling skin and sebum. Oral antibiotics have been widely used for moderate to severe acne vulgaris. However prolonged use of oral antibiotics may be associated with bacterial resistance. 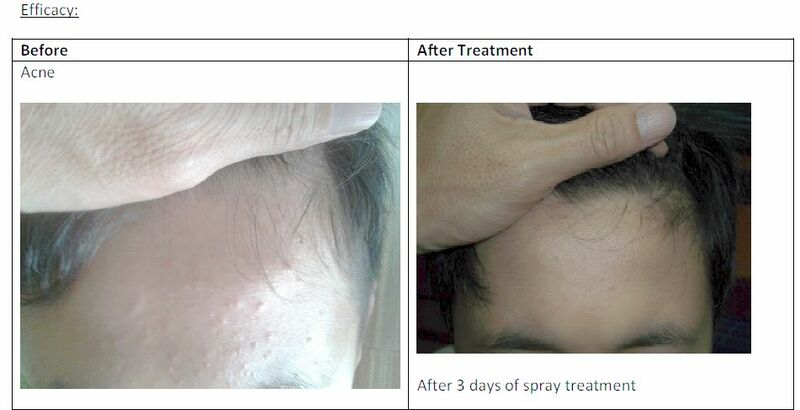 ΘNANO.ros Acne Antibacterial Spray MAY BE A RIGHT CHOICE FOR YOU! ΘNANO.ros contains with properties of anti-inflammatory, good for allergic & sensitive skin person and oily cleanser & moisturizing for healthy skin. Acne cannot be cured, but can be treated successfully. 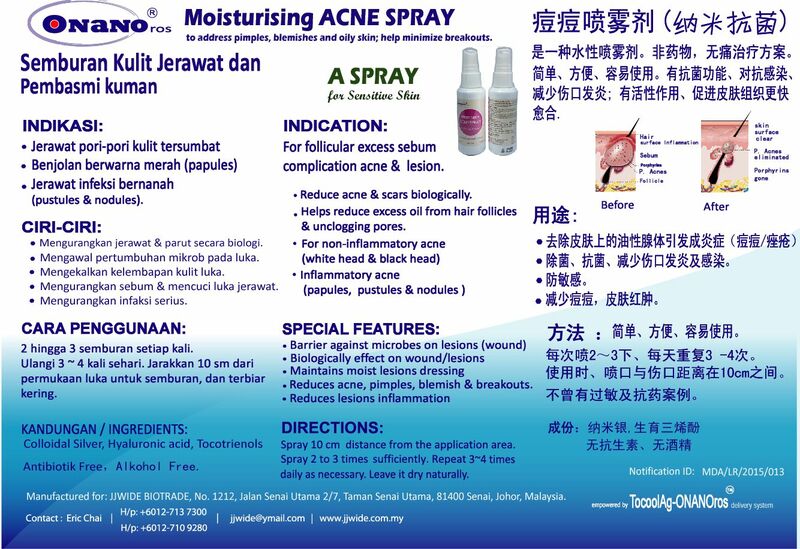 Acne also can be prevented.